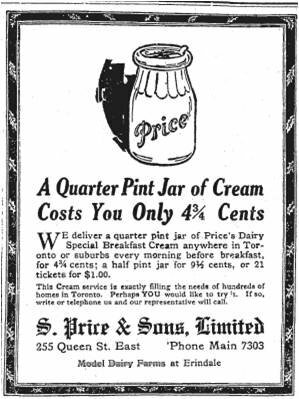 In August 1911 S Price and Sons Dairy merged with City Dairy. Stephen Price financed the first wagon to serve his starting 24 customers in June 1891.The Price family had five sons and had established a farm known as the Magrath estate consisting of 600 acres in Erindale. The Price financial holdings in 1911 were estimated at 500,000 dollars. 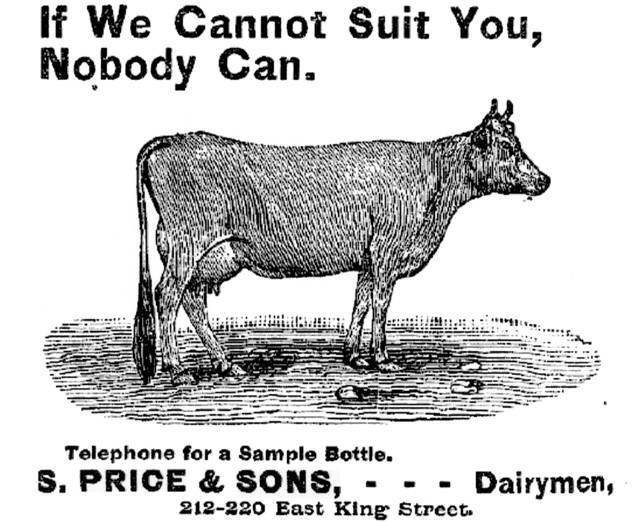 The dairy operation was managed by Thomas Price. 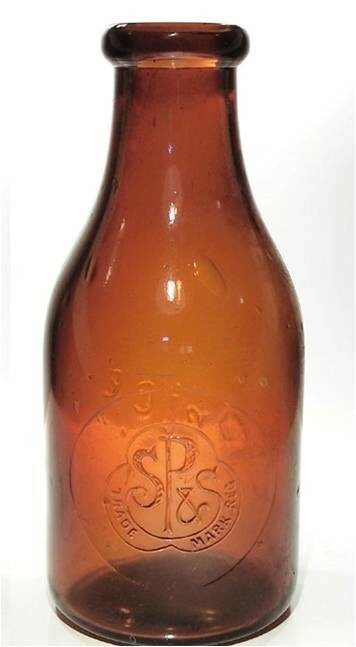 Price’s Erindale farm was the first dairy in Canada to pasteurize milk and received the first Milk Commission certificate for certified milk in 1909. 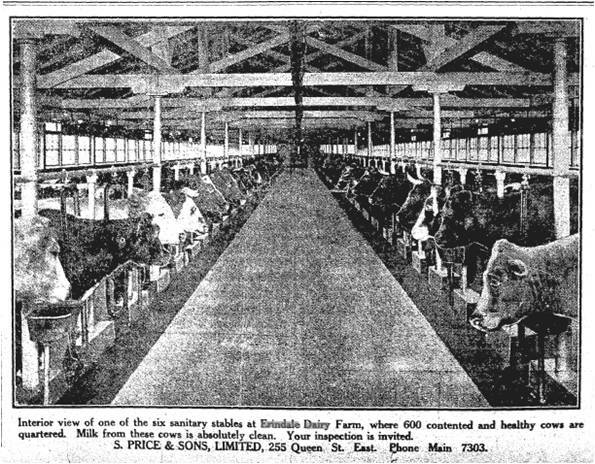 In 1905 Price‘s Dairy had constructed a milking barn at Erindale with glass walls and to accommodate 100 cows to provide certified milk to Toronto. By 1911 the Erindale Farm herd consisted of 400 cattle. 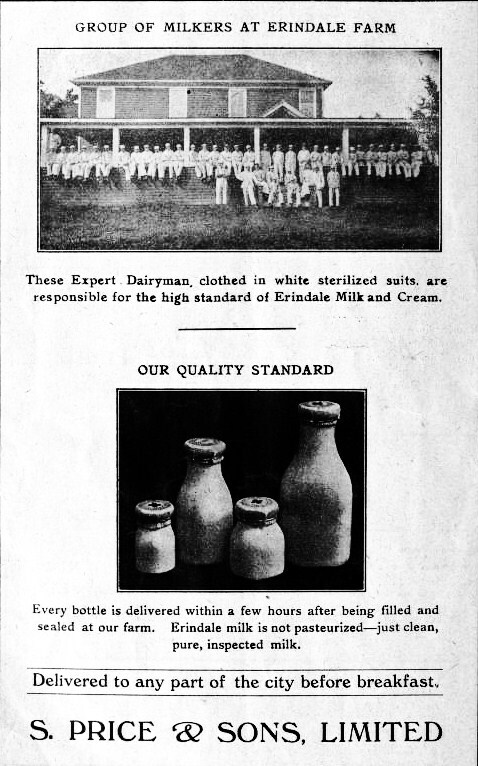 The Price’s Dairy name was retained until 1917.